Fame as an expansion theme isn’t a sure sell for me. Yes, Superstar was one of my favorite expansions out of the entire series, but that’s down more to the charm of its presentation than any real fascination with a life of celebrity. The fame system itself in Superstar was (understandably) quite primitive while its successor in The Sims 3: Late Night imposed bizzare, conservative moral judgements on your sims and, at best, was just annoying to deal with. But after getting the two most requested expansions out of the way for The Sims 4, Maxis had to go somewhere next, and it seems they went to another safe bet. After all, Late Night was a highly popular expansion (another of my favorites, even with its disaster fame system) and the creator of the “Road to Fame” mod garnered a sizable Patreon following. And so that leaves us with The Sims 4: Get Famous, the 6th entry in the $40 tier of Sims 4 content. This pack’s main attractions include the new fame and reputation system, the Actor active career, a new world based on Los Angeles, the selection of CAS and build/buy assets that usually comes with such titles, and a lot of content revolving around becoming a professional YouTuber for some reason. No really, we have the new Media Production skill, music mixing and vlogging stations and drones equipped with cameras. City Living already shipped with an ‘Internet Personality’ career branch, but I guess we needed even more of that because Maxis implemented it all over again. The rabbithole career wasn’t updated to make use of the new activities, so now we just have two completely separate sets of features that more or less serve the same purpose. When I think of the dream celebrity lifestyle, I think of getting one’s own Walk of Fame star, or performing on stage in front of thousands. But if your ultimate escapist fantasy is sitting at the computer but getting a lot more attention for it than usual, then this is the pack for you, my friend. Speaking of which, we only have one celebrity cameo this time. Superstar had a range of anachronistic celebrities including Marilyn Monroe, Andy Warhol and Jon Bon Jovi. The Sims 3 had both a stuff pack and collectors edition dedicated to Katy Perry, who doesn’t have the historical influence of the previous three, but at the very least was on the radio a whole lot. In contrast, the sole celebrity cameo is someone named Baby Ariel, who I had to look up. She’s a singer, but nobody calls her one. Instead they call her an ‘influencer’, which seems to be a word people use when they want to be unnecessarily coy about what someone’s talent is. I asked about it on a Sims discord channel and got told I must be too old to understand. Therefore I am taking points off of this expansion for reminding me of my own mortality. The fame mechanic itself is well implemented. Reputation and celebrity have been separated into two separate metrics: reputation being whether other sims think positively or negatively of you, and fame being how widely known you are. Different ends of the reputation spectrum have their own rewards, some of which have to be combined with high fame to be unlocked. These two systems mesh really well together and add a realistic new dimension that hasn’t been present in previous fame implementations. Fame also doesn’t fall into your lap as it did in The Sims 3, meaning that saying ‘hello’ to a famous sim wont catapult you into global stardom. In fact I found it pretty hard at times to build fame without really trying and I even ended up decaying a rank when my sim didn’t do anything in the public eye for a few days. It seems that sims really need to be ‘on’ all the time in order to keep themselves in the spotlight. Again, I find this realistic (how many one-hit-wonders do you know of who completely vanished off of the face of the earth?). It could possibly use some tuning to slow the decay a little bit, but considering how short sims’ default lifespans are, people starting to forget them after a few days probably makes sense in scale. Fame is built through pretty much any action where it would make sense. Even posting to social media, or giving another sim tips in a skill would net a sim a little bit of fame. Starring in films or answering a career chance card correctly might net them a lot. There are a few holes in this system however. My painter sim will not gain fame when selling a non-masterpiece to a gallery, only when selling a private collector. This makes no sense. And vice versa, a masterpiece sold to a gallery will gain fame, but not one sold to a collector. If an average painting being sold to a private collector nets a painter fame, wouldn’t it stand to reason that a much better painting being sold to one would get them at least the same amount of fame? It seems pretty difficult in Get Famous to gain fame through rabbithole careers alone, which doesn’t make sense in a lot of cases (painter, writer, entertainer, politician, etc.). Also, uploading videos from the vlogging station seems to net sims almost as much fame as starring in daytime TV, even if the videos are of the lowest possible quality. They really seem to be taking this ‘influencer’ thing and running with it. Even the fashion-themed rabbithole career added in the free base game patch revolves around being an online ‘influencer’ as opposed to branching off into designers or runway models. A small part of the charm of Superstar was that the fame career covered acting, singing in hilariously kitschy europop videos and walking the catwalk. I feel that making active careers out of pop music (the Entertainer branch is explicitly orchestra-orientated) or fashion would have been a better use of resources in a pack about becoming famous in a Hollywood analogue. Especially because ‘famous internet person’ has been implemented as an active/rabbithole (activehole?) career already and it’s just not that interesting of a concept to begin with. I can say with pleasure that the fame system in this pack no longer moralizes at you. In Late Night, famous sims would create a media scandal through several actions, which would give the sim a long-lasting negative moodlet and cause everyone in the world to lose relationship with them. These controversial actions included things cheating, getting arrested, having a child taken by the social worker and… getting a divorce or having a child out of wedlock. Late Night was released in 2010; several decades after both of those last two things stopped being controversial to anyone but the most conservative members of modern society. It was bizarre and, frankly, insulting. But Get Famous opts to do none of that. Even famous sims with atrocious reputations get their own perks from being hated, and the things that grant a sim negative reputation, you know, actually make sense in the context of the year the game was released in. Fame also comes with perks and quirks. I’m not going to go into perks here, as they’re just a re-implementation of the vampire powers system. They are fun, however, and do add quite a few ways to customize your gameplay. The real shining jewl of the two is the ‘celebrity quirks’ system, the equivalent of vampire weaknesses except better, as you don’t get to (explicitly) choose them. Quirks are gained through performing certain actions often. Celebrities who socialize mostly with other celebrities might gain an aversion to normal folk, actors who only act in serious productions may begin to hate it when people try being funny around them, etc. A few of the quirks, though, are just sort of regular personality traits and there’s no reason as to why they should be exclusive to celebrities. For instance ‘Juice Addict’, gained through drinking too much ‘juice’ prevents sims from gaining fun if they haven’t drunk recently. This obvious analogue to alcoholism A) is actually kind of surprising it made it into a game that refuses to even say the word ‘alcohol’ and B) could, in real life, afflict anyone. This and a few of the others make me wish that the quirk system affected all sims. For a game where sims have as deep a personality as three traits, having a sim’s life experience affect their personality and habits would be awesome. You know, like Parenthood, but for grown-ups too. Overall, fame is a pretty solidly implemented main attraction for an expansion. It might not be something I particularly wanted to see in a pack, but I am having a good time with it and it’s the best implementation the series so far. Speaking of best implementations, the acting career might be the best active career in series history. I’m not a huge fan of active careers: if I wanted to pretend to be a cop or a doctor, there are entire games dedicated to only that I could be playing instead of what amounts to a minigame. However, actors get the benefits of potentially shorter days (they can leave as soon they wrap up shooting), having a flexible schedule, and only having to be on the job lot a few days a week. 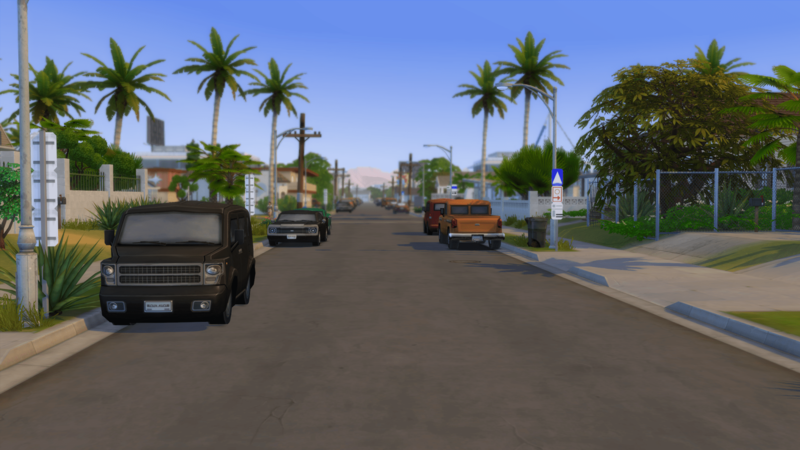 This allows the player to stay in the home lot more and handle other family members’ business without missing out on money and work performance for their active career sim, and potentially allows multiple actors to live in the same household without having to substantially slow down both of their career development. The days long breaks between gigs also acts an artificial gate to keep the actual meat of the work day fresh and new for longer. One of my biggest problems with active careers is how quickly they become repetitive. I’m still not a huge fan, but I hope Maxis keeps going in this direction with them. The only thing that would make acting an A* in my book would be some amount of customization and built-in sharing tools that could be done with movies. You guys ever play The Movies? Something like that. As it stands, acting gigs are limited and pre-created by Maxis. The acting career brings a lot of CAS and build/buy stuff that can’t often be used in regular gameplay. I can see quite a few things being used in historical saves or storytelling, but for the most part, there are a lot of really fantastic looking assets that have very little use. What is there is pretty nice though. Silly looking haute couture some great hair, that kind of stuff. The new build/buy themes are gold-plated baroque-style furniture that wouldn’t look out of place in Versailles, and (for some reason) a wonderful mid-century modern set. Not quite sure how that fits in with the rest of the expansion, thematically, but I appreciate it nonetheless. There are also quite a few objects that hint at the over the top luxuries included Superstar. There’s no private suba tank or skydiving simulator, but one can get a very expensive koi pond, luxury sleep pods and a helmet that does some kind of silly healing thing with collectible crystals. Not as Sims 1 as the talking toilet, but still pretty Sims 1. The new world, Del Sol Valley is stunningly detailed. As in, the maps themselves are factors larger than the playable area and each neighborhood has a huge amount of backdrop to the point where it’s completely unnecessary. I complained with City Living that Sims 4 neighborhoods were too clean and idealistic to be immersive, and someone seemed to be listening because DSV has a lot more of a ‘city’ feel than I ever got out of San Myshuno. Hell, in the cheaper neighborhood one can see tents camped out under an overpass, implying a homeless population. Oh, and I’m pretty sure I heard gunshots in there once. That one might have been going a little far. Anyway, it’s pretty and there’s a Walk of Fame that sufficiently famous sims can insert their own stars into. I do question the wisdom of, on the heels of the expansion that implemented weather, adding a new world based on a region without much weather. Travelling from my home in Del Sol to a lot in another world, it sometimes surprises me to remember that there’s rain in this game. Even Oasis Springs makes up for its lack of precipitation with regular heat waves, but I didn’t even see one of those in Del Sol throughout a 14-day Summer. This is where I was going to make a joke about constant fire being weather of a sort, but a lot of people died this month so you should all just pretend I told a very funny, different joke and then see if you’re able to help out with the relief efforts. Well, that’s the review. I liked the expansion. It has its flaws and focuses on quite a few things I couldn’t care less about. But what’s there is entertaining for what it is and I don’t regret where my $40 went. It’s probably not on my ‘must buy’ list, but if you are really into the idea of playing celebrities and… professional vlogging, then you probably won’t be disappointed with Get Famous. Tl;dr: the best implementation of fame so far, Maxis has a weird preoccupation with YouTubers and Instagram models, new world is pretty and the Paparazzi no longer all work for the Fox News and/or the Vatican. And my god do I love The Sims Superstar.